AirBnb is our preferred website for booking travel accommodation at great prices and in great locations. 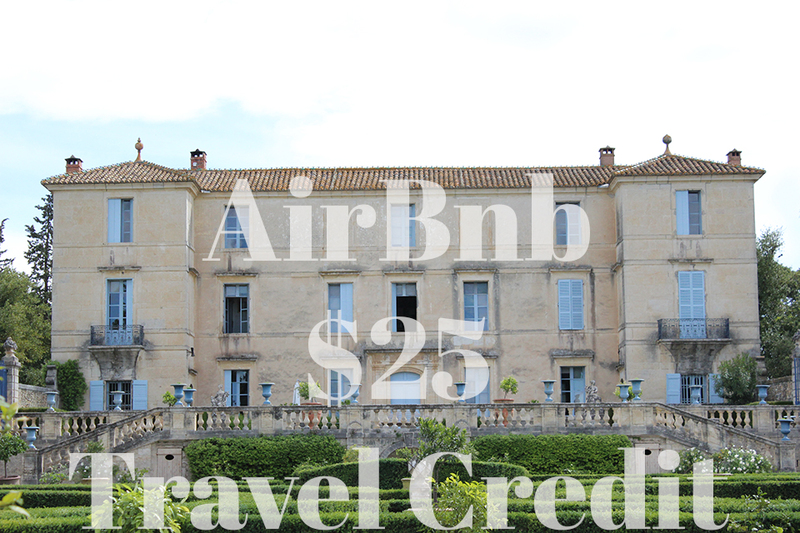 Just click on this reference link to instantly receive $25 when you sign up with a new account to put toward your next booked accommodation!! If that does not work simply email us and we can send you an invitation through AirBnb! They have everything from small bungalows to beautiful mansions, and something for EVERY budget! Chateau De Fleur, South of France, 2014. Traveling Expats.